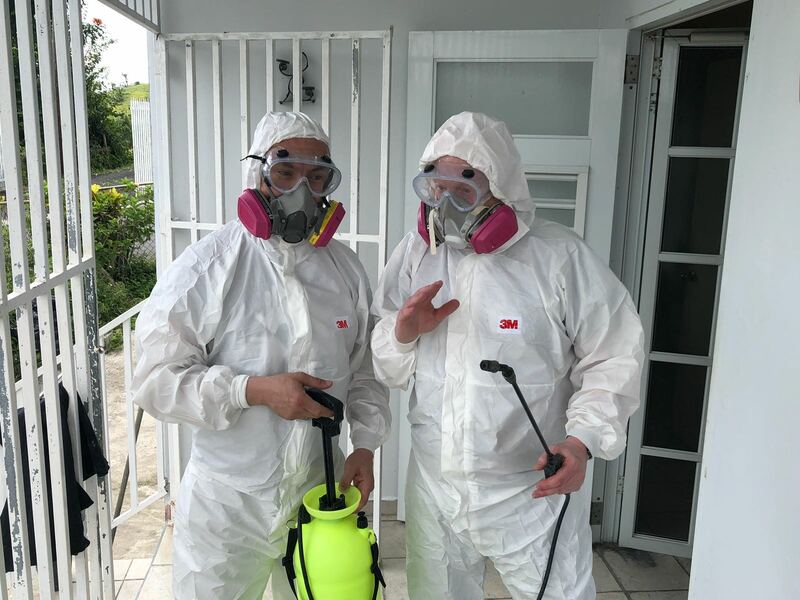 Catholics Care – Diocese of Brooklyn has been working this week in Puerto Rico. We have been helping homeowners in Yabucoa & Humacao who have not had power since the storm. 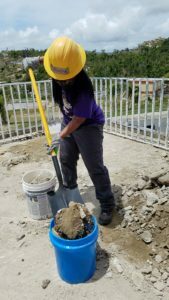 We are working with All Hands and Hearts, a mission relief group that trains us to do the work we are doing. Roofing: identifying sources of leaks, getting rid of roof sections where there are holes causing leaks, and applying new roof material. Part of this work also involves cement patching big holes in roofs. 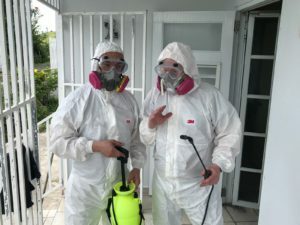 Mold Remediation (being done by the people wearing white suits in video and pictures) These crews have been getting rid of mold on the ceilings of homes and sanitizing them to get them ready for re-painting. 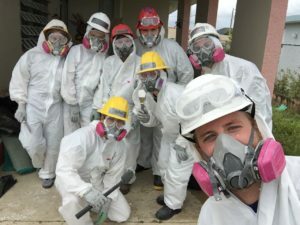 On Sunday, April 22, Catholics Care volunteers are taking off to help our brothers and sisters in Yabucoa, Puerto Rico, in the southeastern part of the island. Yabucoa is where Hurricane Maria first made landfall last September, so it bore the strongest part of the storm. There has not been power in the coastal town since the hurricane hit. 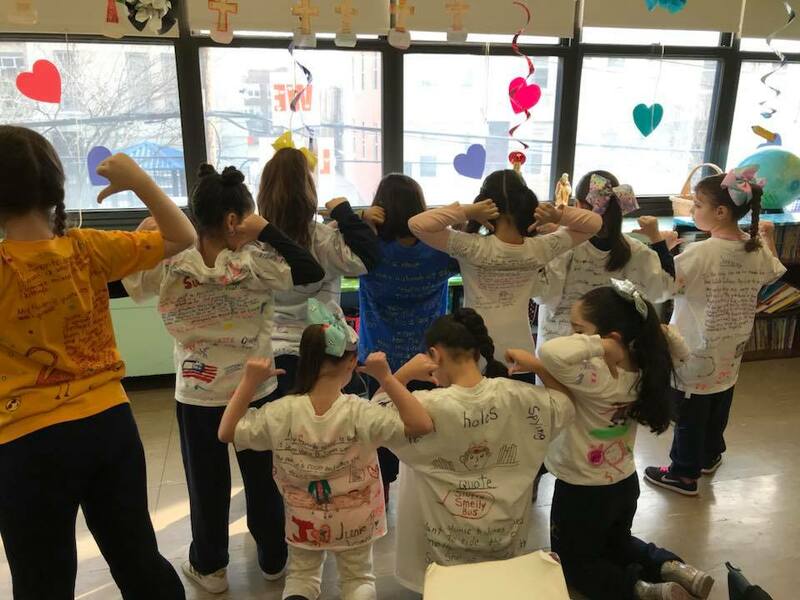 The group of 15 Catholics Care volunteers will be working from Monday, April 23 to Friday, April 27 with a relief organization, All Hands and Hearts. The non-profit relief organization addresses the immediate and long-term needs of communities post natural disasters. 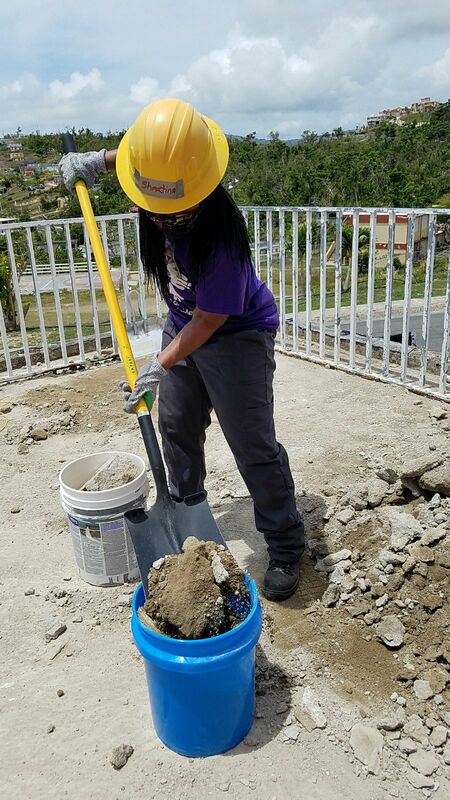 The volunteers will be removing debris, fixing and laying tarps on damaged roofs, and performing minor demolition work as directed by All Hands and Hearts. This is the second Catholics Care volunteer mission. Last November, the Diocese of Brooklyn led a group of volunteers to help the people of Houston, where lives were severely disrupted by Hurricane Harvey. 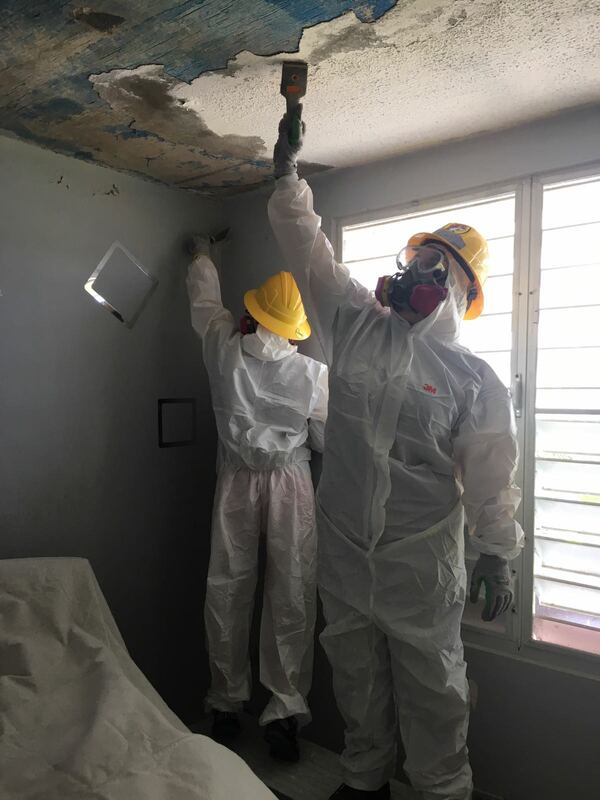 Those volunteers did “mucking and gutting” of homes, which involves demolition of sheetrock, removing nails from studs and overall debris removal. The group also worked at Catholic Charities headquarters and at their food donation warehouse. 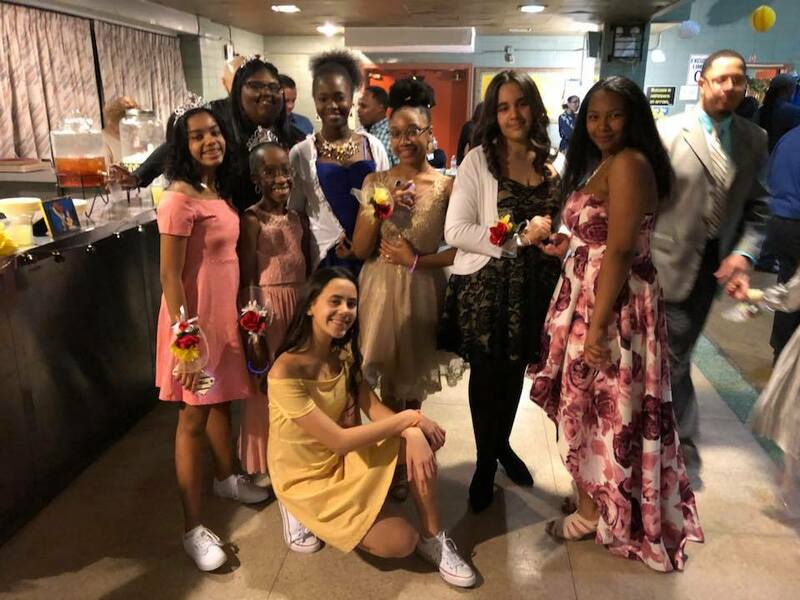 If you would like more information on the Catholics Care mission trip, contact Adriana Rodriguez at 516-238-7565. 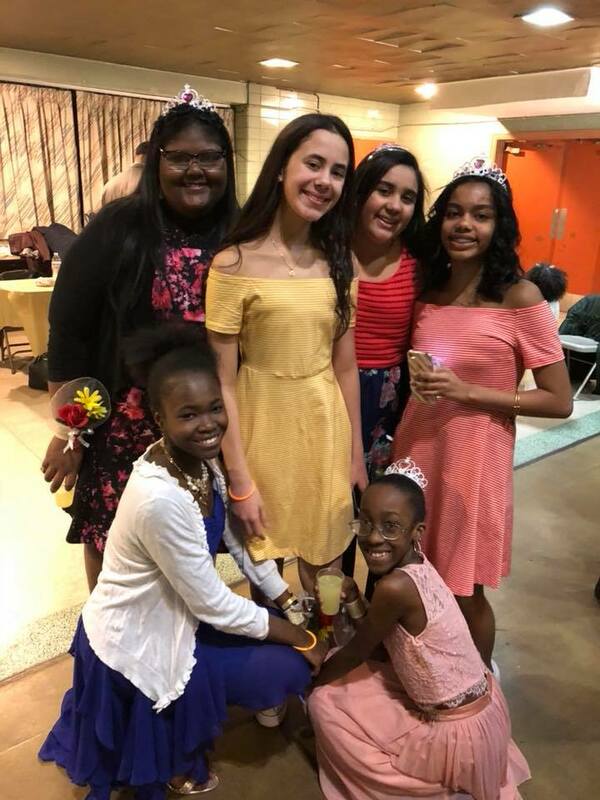 On Wednesday, April 25 at 7:00 PM, the Diocese of Brooklyn, in partnership with survivors of sexual abuse by members of the clergy, will hold the fourth annual Mass of Hope and Healing. 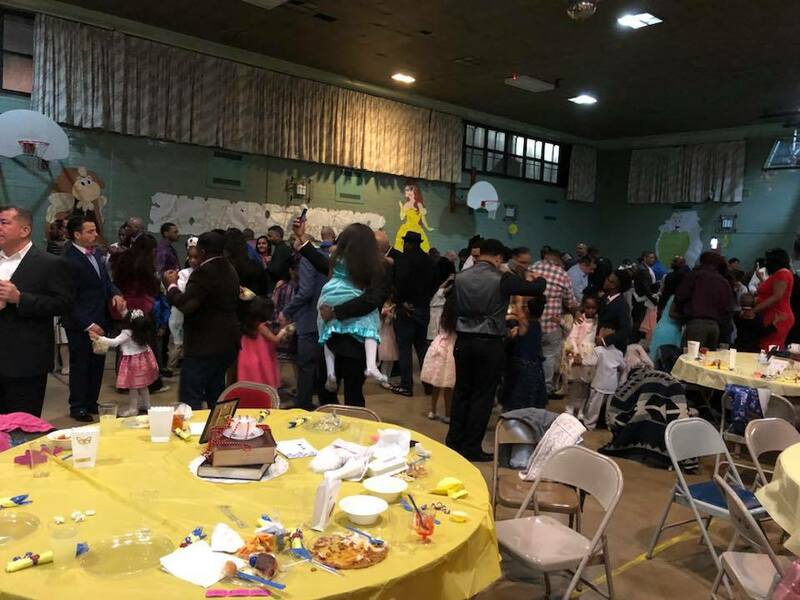 The Mass at St. Nicholas of Tolentine Church, 150-75 Goethals Avenue, Jamaica, Queens is offered for all those affected by sexual abuse. The Most Reverend Nicholas DiMarzio, Bishop of Brooklyn, will be the main celebrant. 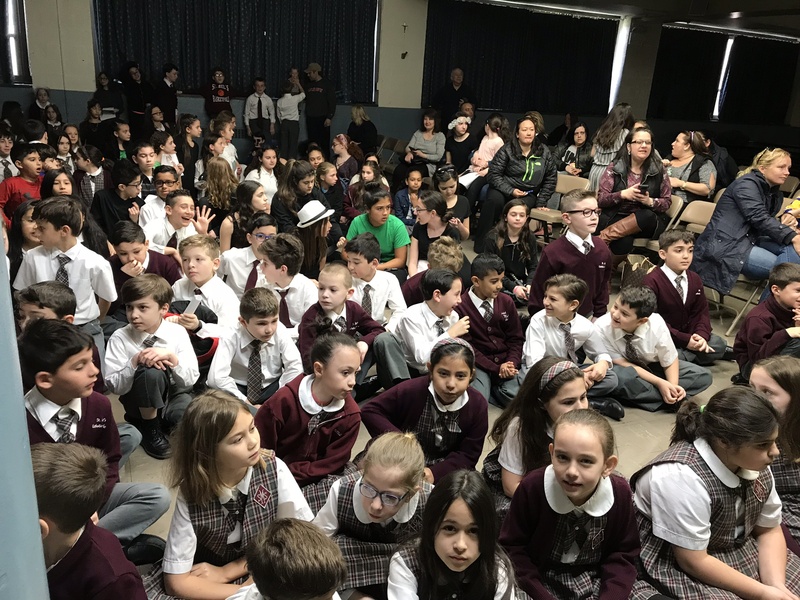 The Mass is organized by the diocesan Office of Victim Assistance Ministry along with survivors, who have come together to pray for the ongoing healing of sexual abuse survivors, for their families, the Church, and for the continued vigilance toward the protection of children and youth. Clergy, survivors, family members of survivors, and many others committed to the protection and safety of children will be in attendance. Healing Intervention Team members will also be present for anyone wishing to learn about the services provided by the Office of Victim Assistance Ministry. Media interested in covering the Mass must contact Carolyn Erstad at 323-384-7098 or cerstad@desalesmedia.org. There will be specific guidelines for photography and filming. New Evangelization Television (NET TV) will broadcast the Mass for Hope and Healing LIVE. The Mass will also be LIVE streamed on www.netny.tv. 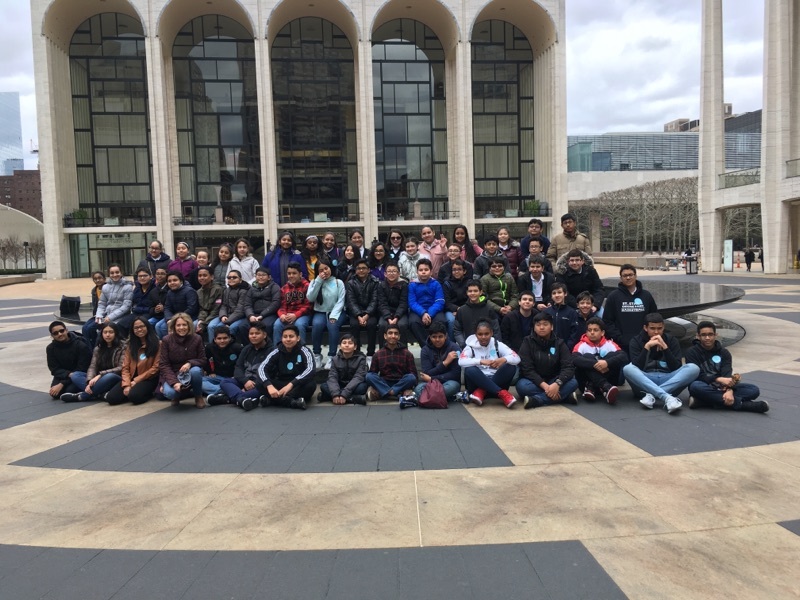 St.Thomas the Apostle Catholic Academy students visited NYC museum, Lincoln Center and Fordham University on April 17, 2018. 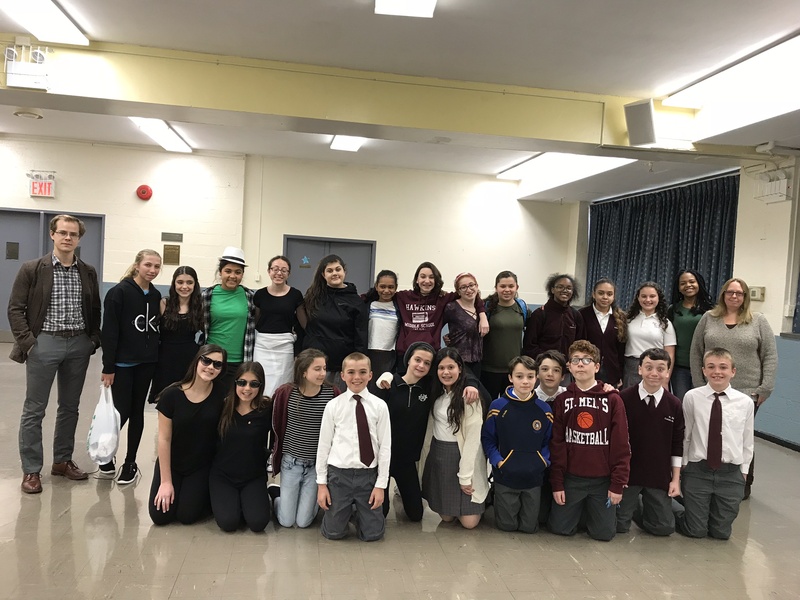 For months the students at St. Mel’s Catholic Academy have been creating, studying, and practicing for their big Arts in Residency performance which was held on Monday April 9th. 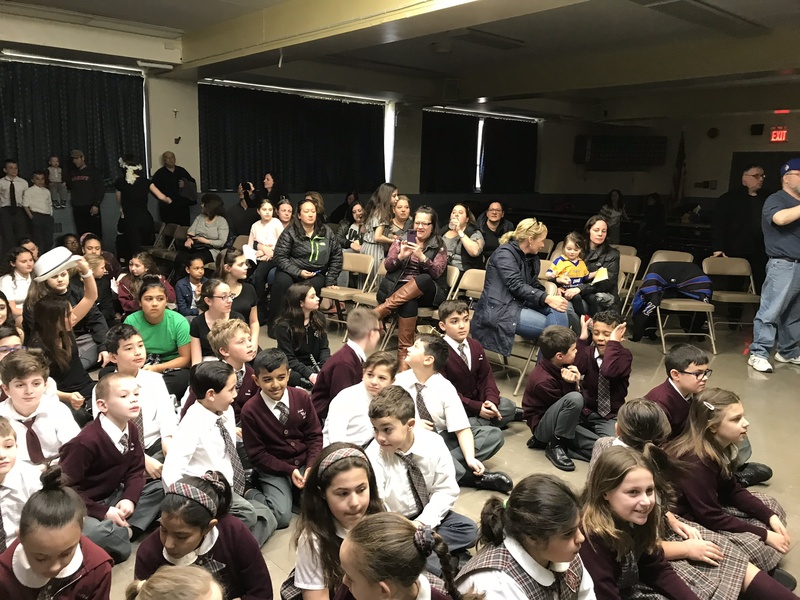 St. Mel’s partners with the Diocese of Brooklyn to organize trained theater actors from Stages on The Sound, and provide students with a one of a kind theatrical experience. The 3rd graders produced an original stop animation video titled “Soccer Food Fight”. Healthy and unhealthy food battled it out on the soccer field and unhealthy food won. 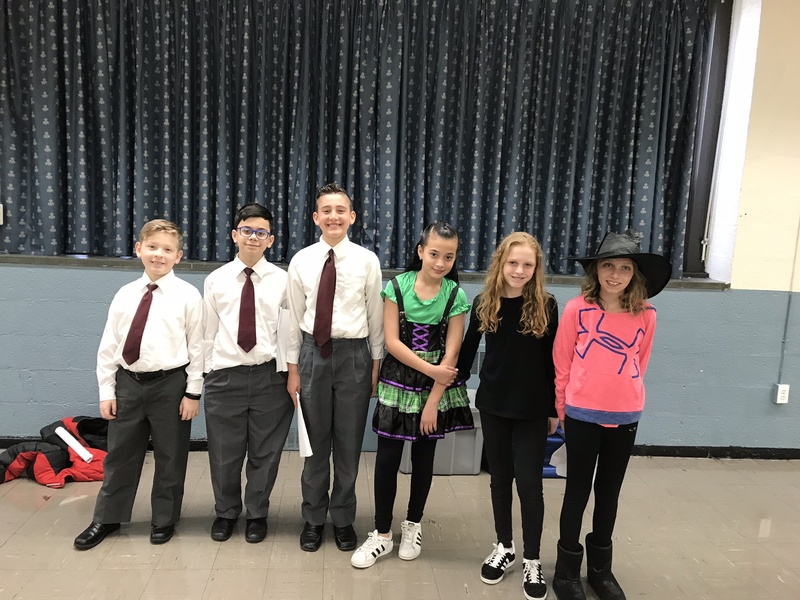 The 5th graders wrote and performed various original readers’ theaters such as a “desert island landing” and “Monster Mash”. 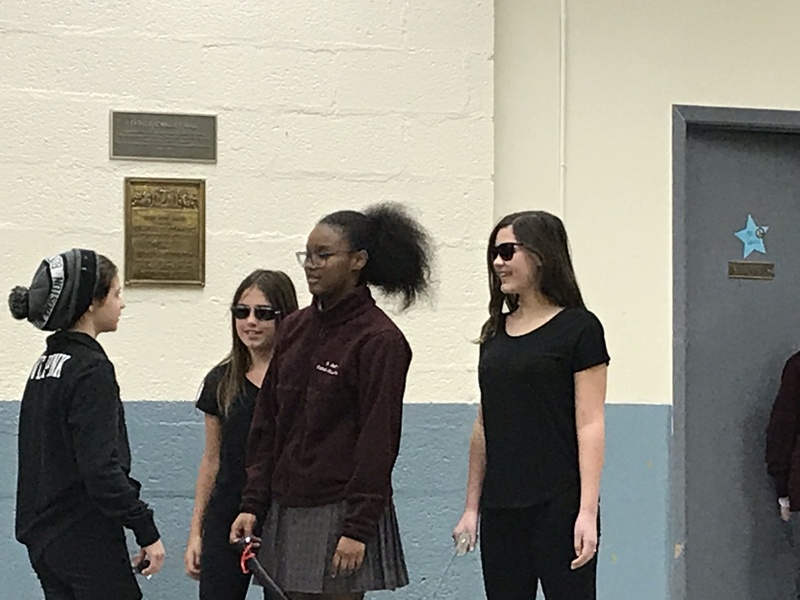 The 7th graders put on various scenes from the Shakespeare play Twelfth Night, and their inner thespian shined. 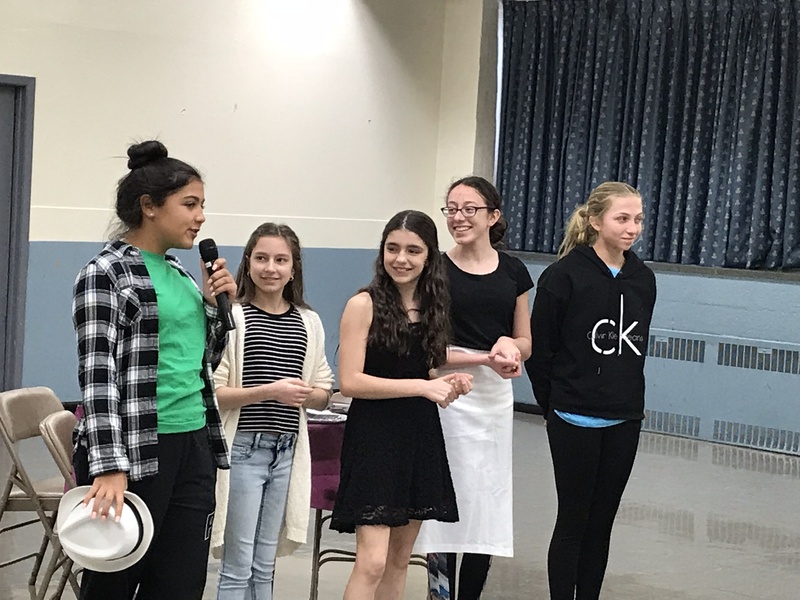 Students played Duke Orsino, Olivia, Sebastian, Malvolio, Sir Toby Belch and many other characters as the Shakespearean comedy came to life. 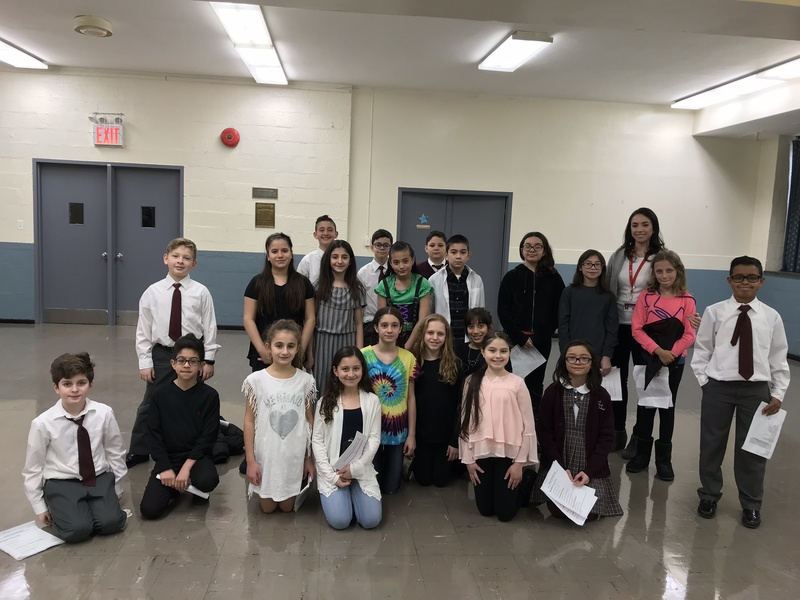 Thank you to the Diocese and Stages on the Sound for providing such an enriching artistic experience for the students at St. Mel’s Catholic Academy, and great job to all the students who worked and performed. 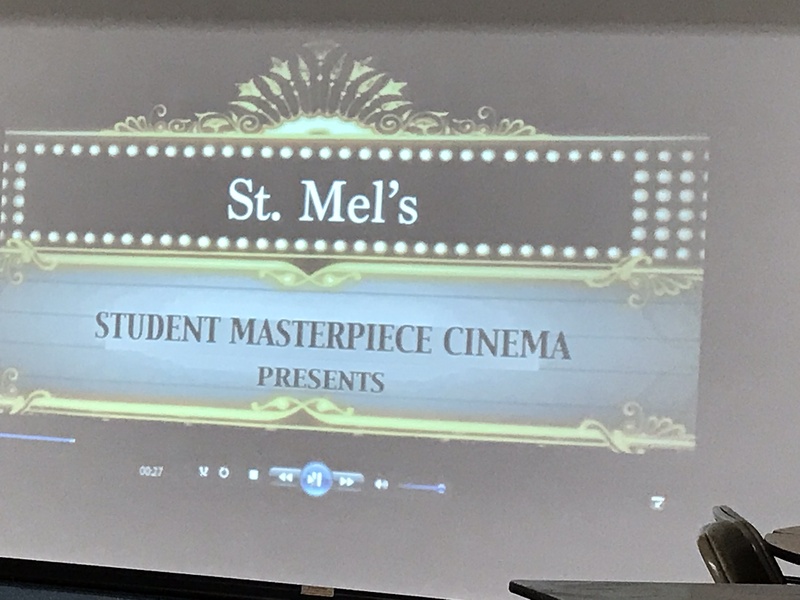 You made everyone at St. Mel’s very proud! 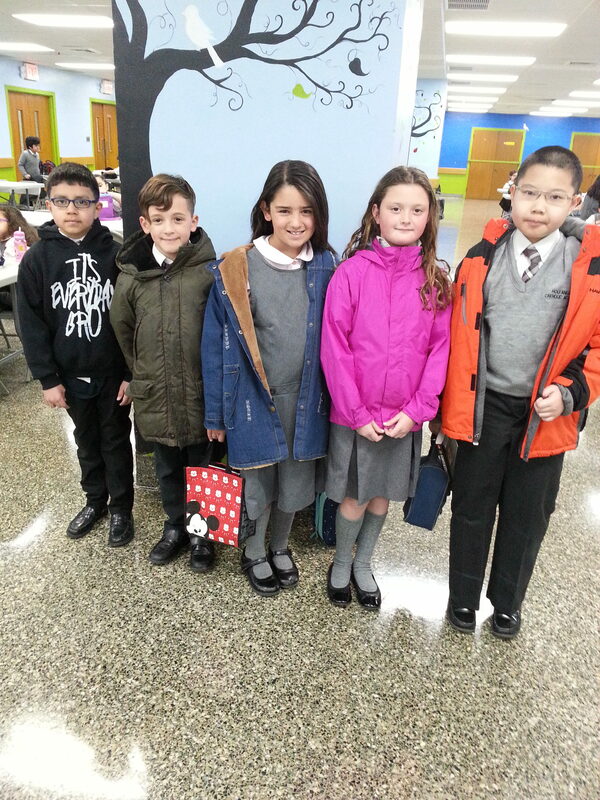 Holy Angels CA Students are Finalists! 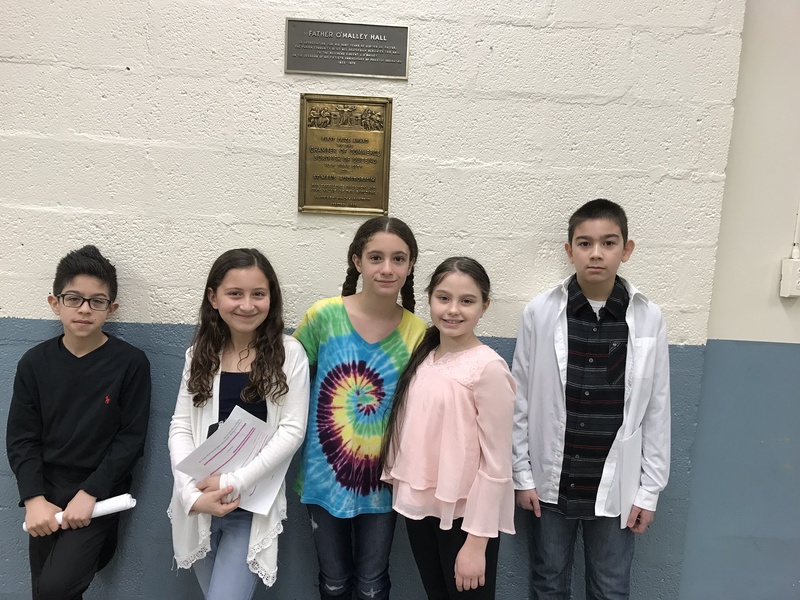 Five (5) Holy Angels Catholic Academy students are among the “finalists” in State Senator Martin J. Golden’s “Anti-Littering Essay Contest”. 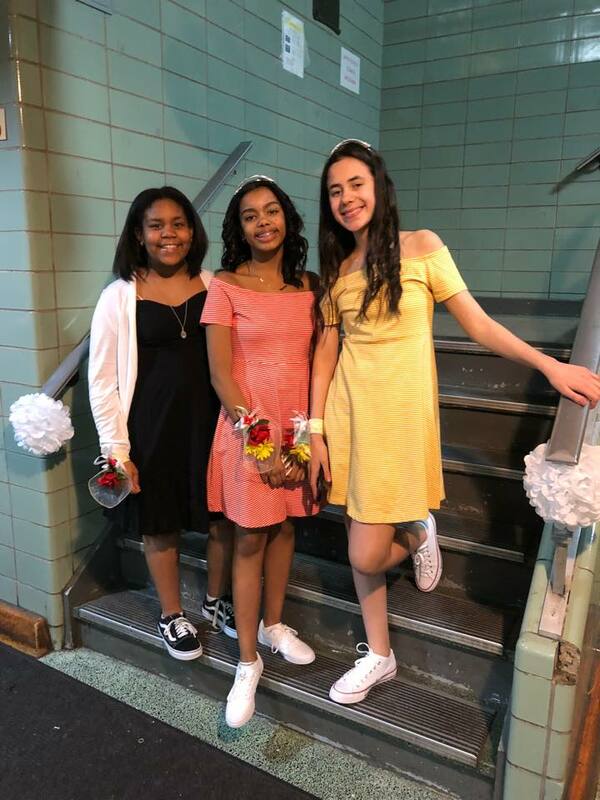 They will read their essays aloud before a panel of judges at a special ceremony on Thursday, April 19th at 6:30 p.m. in the Community Room at Shore Hill Housing, 9000 Shore Road, Brooklyn. 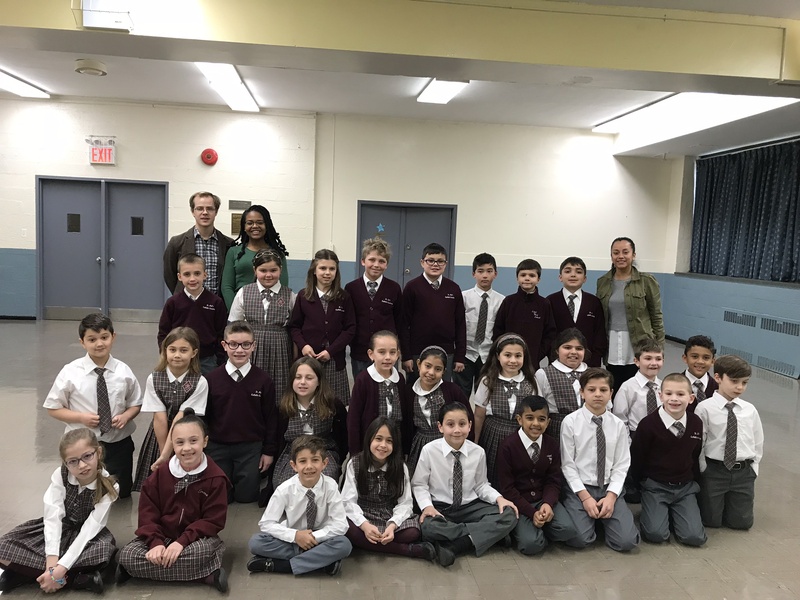 Congratulations to Ethan Valentin, grade 3. 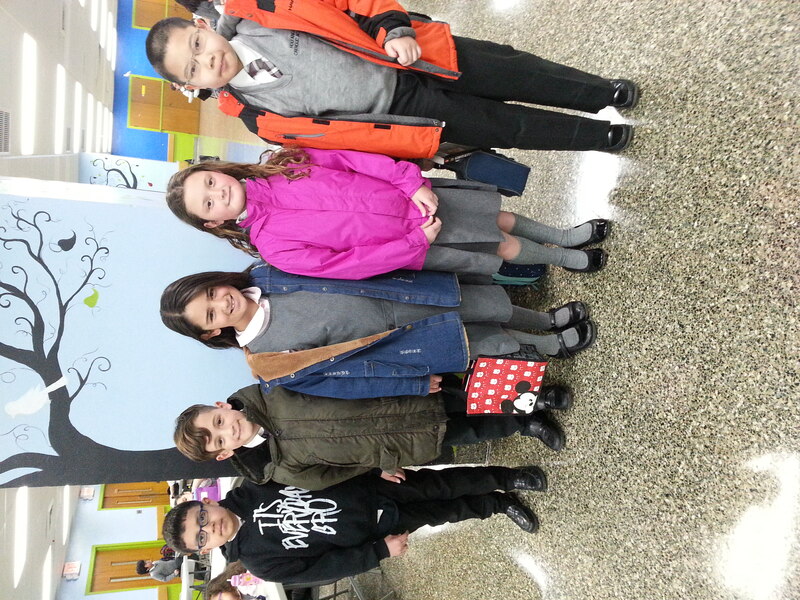 Joseph Cerulli, Molly Fox and Caroline Chelelas, grade 4, and Jun Chen, grade 5. 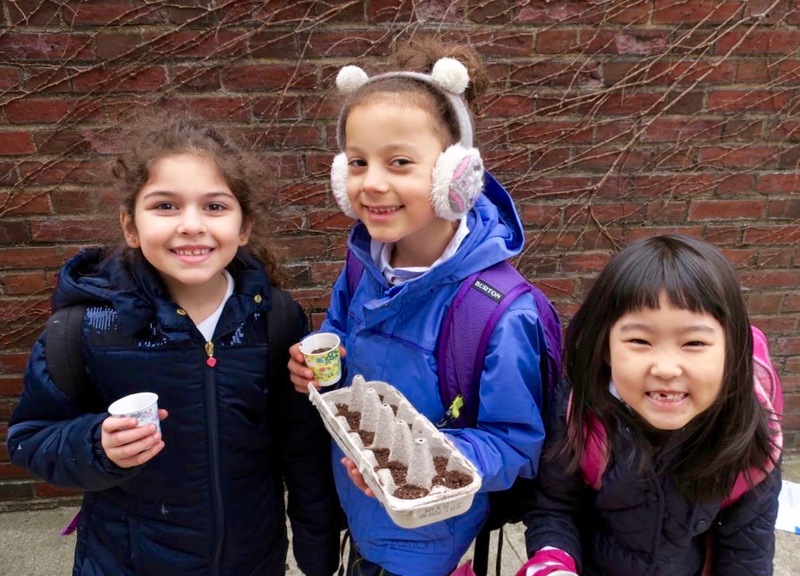 SACA First Grade students rolled up their sleeves and got an early start on their spring planting on March 27th when they worked in the St. Anselm courtyard taking turns planting lettuce seeds. 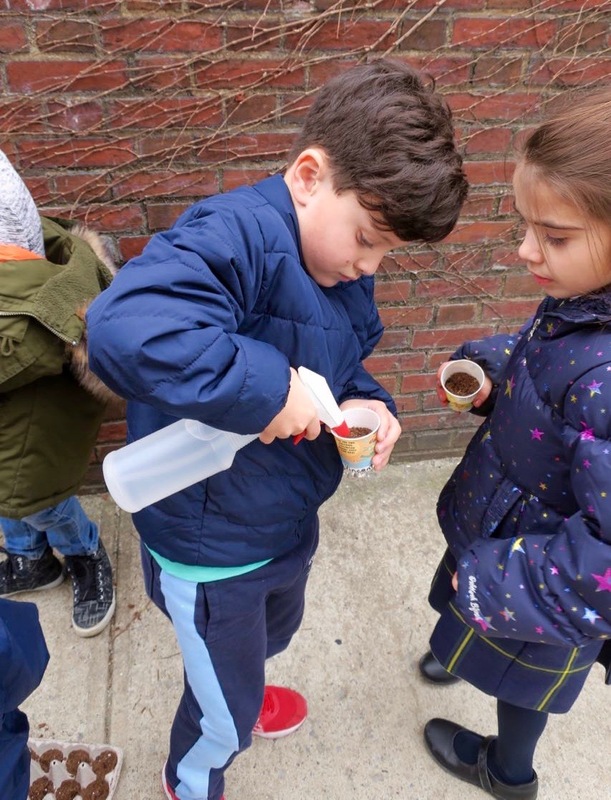 STEM teacher Christine Deem and First Grade teacher Josephine Ghorra introduced the activity by asking the children to describe what plants need to grow. The children discussed the need for water, sunlight, air and nutrients found in soil. 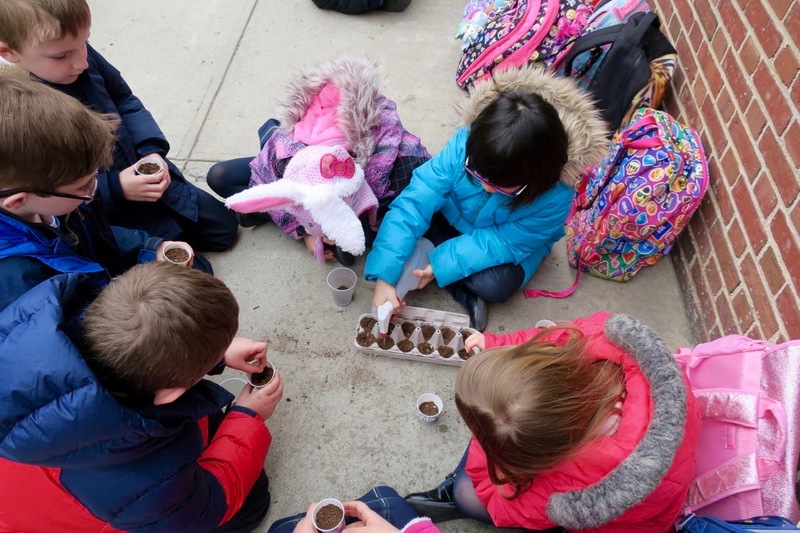 The teachers also asked the children if they thought the seeds could survive outside in the cold overnight temperatures of early spring. It was decided that the safest place for the developing seeds was a sunny window inside. The result was 4 egg cartons which were sent home with four student volunteers who agreed to provide the necessary TLC to the seeds over the Easter break. 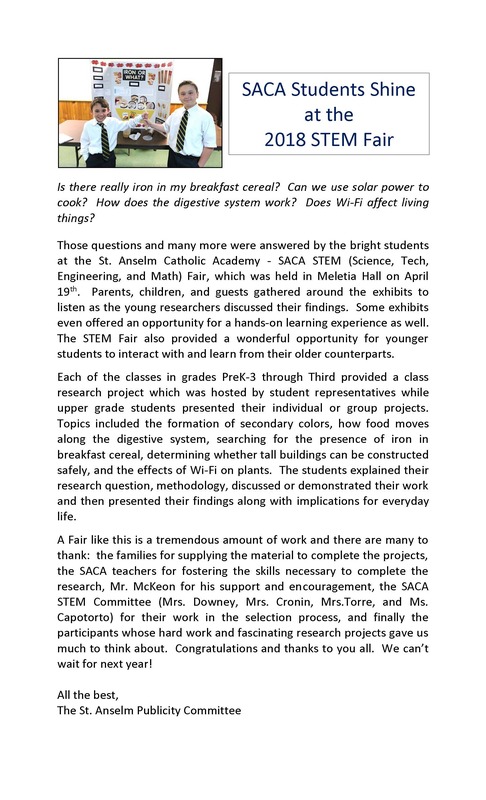 In addition, each child was given a cup of soil and allowed to plant more lettuce seeds for a lettuce “crop” at home. Once the planting was finished, the teachers shared some exciting news: Fr. Stephen Saffron, has happily agreed to provide space in his garden so the young gardeners can experience the planting process from seed to table. 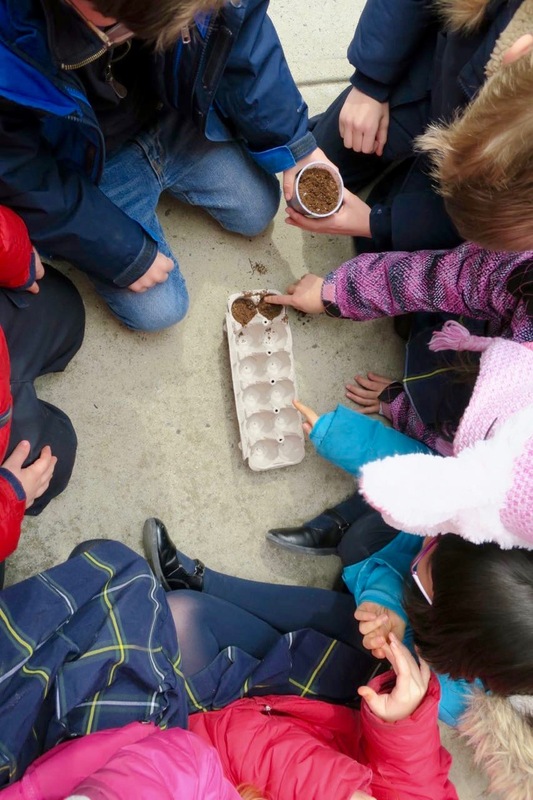 The children will bring the egg carton seedlings back after the break, so they can be planted in Fr. Stephen’s garden at the appropriate time (after the last chance of frost). 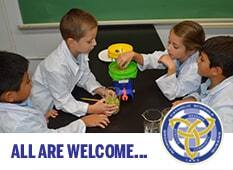 We wish the young farmers luck with their crop and thank the teachers for organizing this fun, educational activity. A special thanks to Fr. Stephen for sharing his garden with the children. 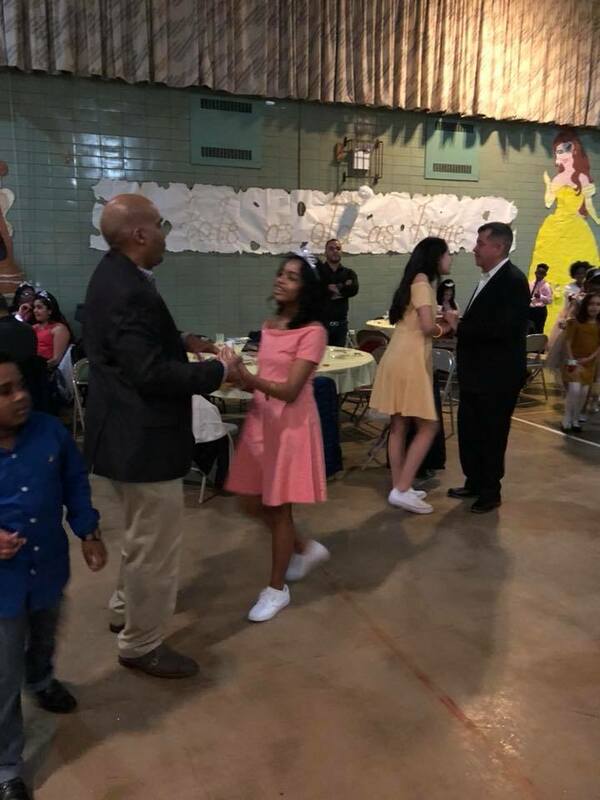 Our first annual father daughter dance was a complete success! All the girls looked so beautiful in their outfits and all the dads looked so handsome. Let’s not forget the moms and uncles who stepped up and looked amazing as well. 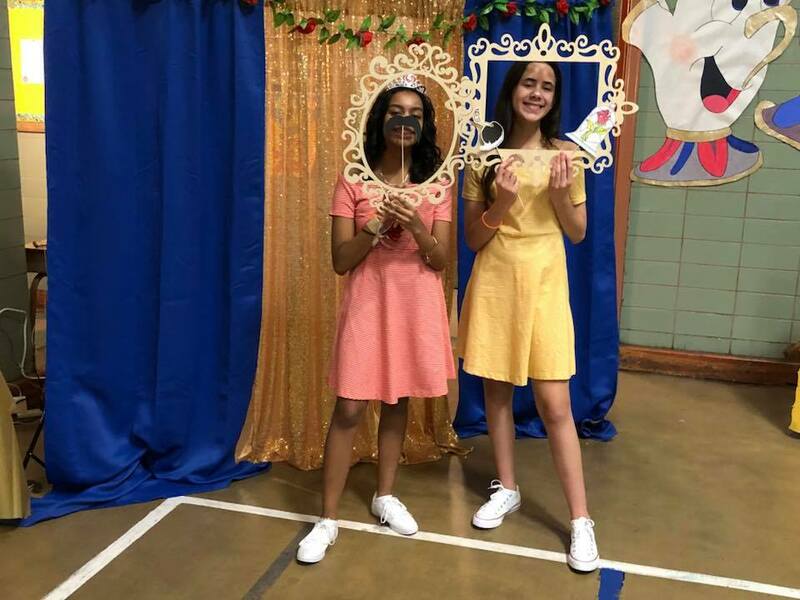 Everyone ate, talked, played, and danced all night long! 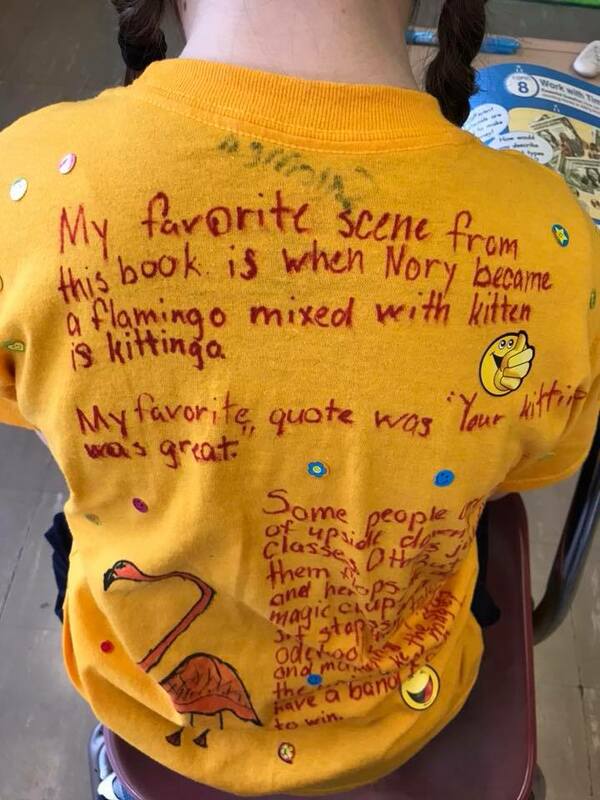 There were smiles all over the place. 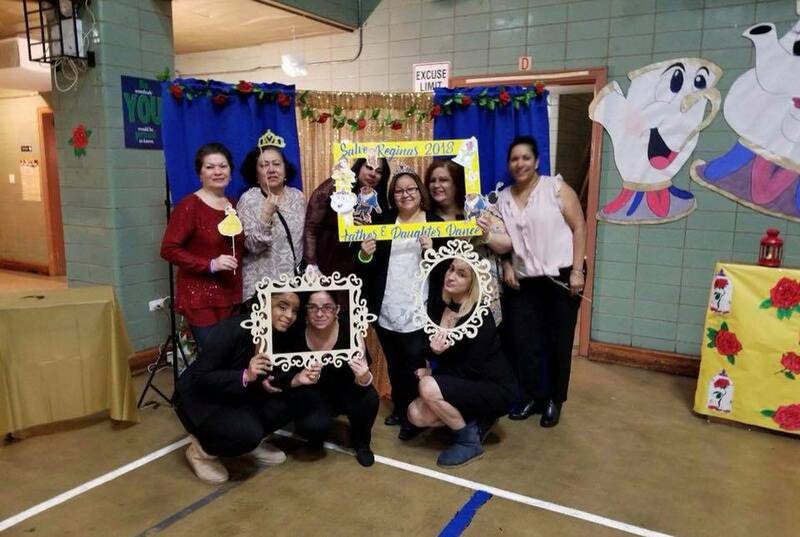 The room was filled with love. 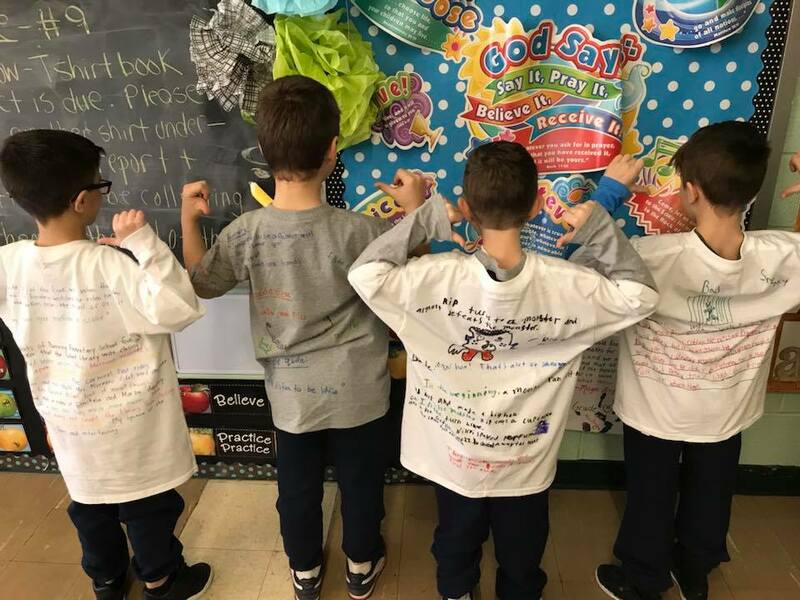 Our Lady of Guadalupe Students Wear Their Work! 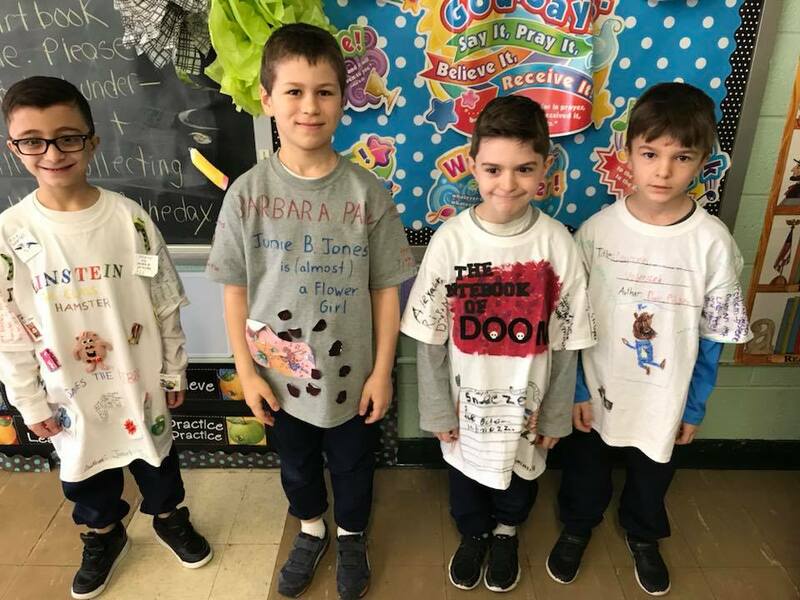 The second graders are so excited to wear their book report projects today! 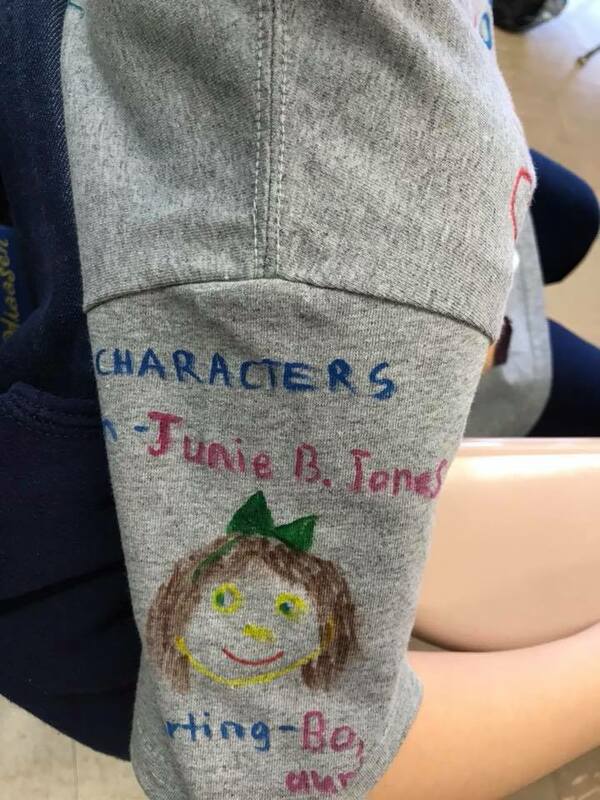 Many authors, summaries, plots, characters and artwork is being WORN! Forth Grader is Hall of Famer at Holy Angels CA! 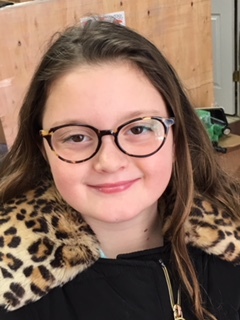 Holy Angels Academy 4th grade student, Caroline Chelales, has made it into the Mathletics Hall of Fame. 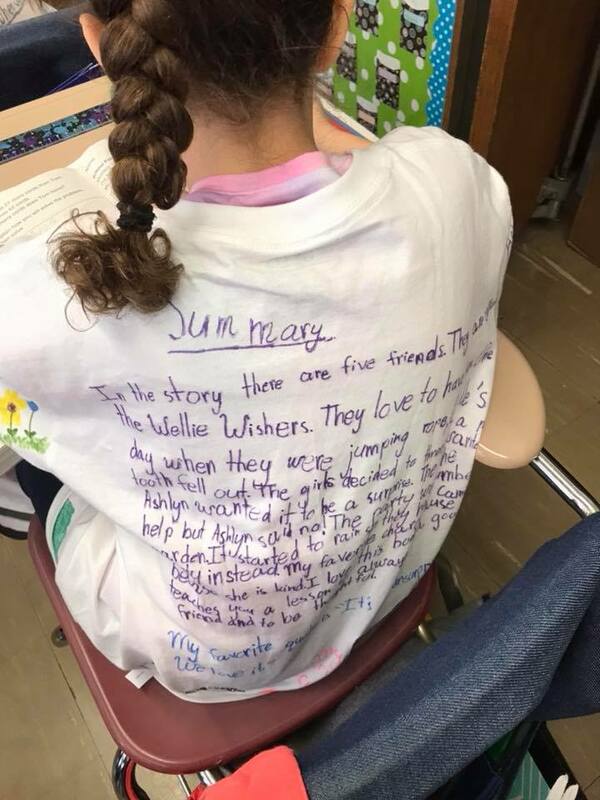 She is among the top 100 students across the country!